A few weeks ago I wrote about the benefits that come from completing a Franklin Electric 2207 Submersible Motor Installation Record for each and every installation. Last week, while visiting a large contractor in the southwestern US, I saw a variation on that theme. That part of the country has some of the toughest conditions anywhere, so the contractor puts a flow sleeve (shroud) on each large submersible he installs–every single one. Then at the installation, not only does he complete a 2207, but he also marks the shroud in heavy, permanent marker with all the pertinent information about that installation. He includes the customer name, order/job number, date installed, location, water depth, GPM, etc. 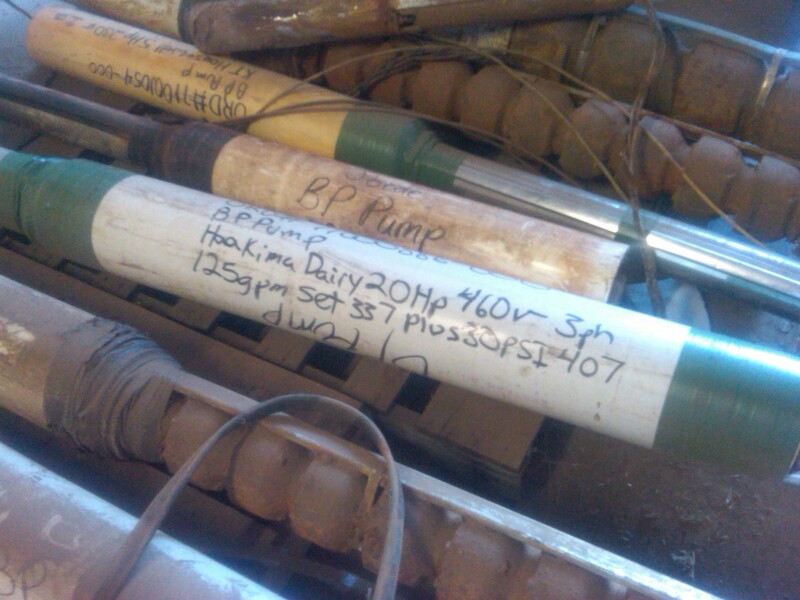 Even if he loses that 2207, he still has a downhole record in the event he ever has to pull that pump. Sure, this means a little more work at the time of installation, but it can save valuable time down the road. If that unit ever has to come out of the hole, it’s easy to tell which one is which when it ends up in a pile of others back on the shop floor. A shroud and a Sharpie might be all it takes to cut your administrative time by a bundle. I learn something new whenever I spend time in the field. This contractor reminded me of the value of working smarter, not harder. If you’ve got tips and tricks you’re willing to share, I’d love to hear them. This entry was posted in Business Tip and tagged Franklin Electric 2207 Form, Installation tip, submersible by markreeder. Bookmark the permalink.